The Detroit News is reporting that Tesla has closed on a $465 million low-cost loans from the Energy Department to work on its next electric vehicle, the Model S sedan.The funds will apparently be used by the company to build manufacturing plants in California. The loan, which closed on Monday and was approved back in June, will come from the Advanced Technology Vehicle Manufacturing Program, which has about $25 billion to dole out to automakers manufacturing energy efficient vehicles. 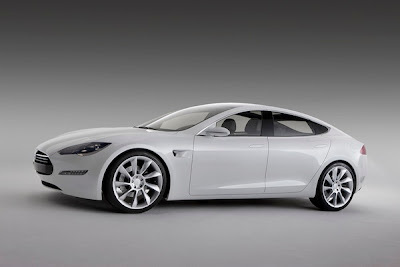 The Model S will, when complete, boast an up to 300-mile driving range, and will hit up to 60 mph in 5.5 seconds. It's supposed to hit production in 2012 with an output of 20,000 units (that means cars) per year.